"In this game that we are playing, we can't win. Some kinds of failure are better than other kinds, that's all." English author George Orwell wrote '1984' in 1948 and wrote so well that whole description of a society as mentioned in 1984 has since changed. Such a society is often called Orwellian. '1984' is a dystopian novel about a futuristic totalitarian regime where the wish of a supreme ruler is everything and that too when nobody is sure whether that ruler even exists or not. Unlike his other novel 'Animal Farm', Orwell does not take overt political sides but instead sets up his story in future. Although the elements of this book were inspired by what was happening in the communist regime of Soviet, what he suspected or rather prophesied is true for any regime, even regimes that are claiming to be most democratic ones. The protagonist of the novel '1984' is a middle-class clerk Winston Smith working in Ministry of Truth, tasked with rewriting history. His job was to erase any traces of something which happened but is in contrast to the present stand of the regime. At his home, he was keeping a diary and made daily entries, hiding from the telescreen which was used to do surveillance on Party members, something which amounted to thoughtcrime. He eventually falls in love with Julia, which was not allowed for Party members. The main antagonist is O'Brien who is the Inner Party member and whom Winston initially thinks to be a member of underground movement Brotherhood. In fact, it was O'Brien who sets up a trap to catch Winston and Julia red-handed. Orwell's love for details makes me his fan easily. The setup of the story, the characters all are well researched and well thought. In a war-torn world, there are three nations or entities, Oceania, Eurasia, and Eastasia. These three are at perpetual war with each other as spread by the Ministry of Truth. Whether that war is even happening or it's just a tool to intensify nationalism and deflect the attention from other severe problems and lack of basic tenets of personal freedom, is unknown. Orwell even develops a minimalist language Newspeak, which was to be used by Party. The argument that Party gives for promoting the Newspeak is that we do not require so many words when we can work with fewer words. This was one more way to curtail thinking and expression of views, devised by the Party. Many incidents described in the novel were taken from what was happening around the world. While 'purging' can be said to be taken from the Soviet regime where political opponents were killed and records mentioning them were modified to remove their names. The news of war with other nations or news reading record productions is regular propaganda used by governments to inflate the feelings of citizens. The image created of brotherhood leader Emmanuel Goldstein is strikingly similar to that of Leon Trotsky who was defeated by Stalin in a power struggle after Lenin’s death. In fact, most of the incidents resembled what happened in Soviet Russia, with Thought Police's idea taken from NKVD which arrested people even for a slightest anti-government talk. 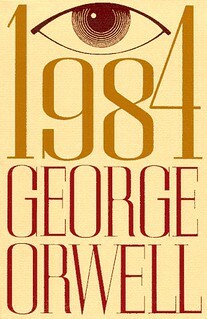 The '1984' is a must read as it may be described as it stands out in dystopian novels. This book is more of a description than storytelling. Sometimes author describes the events taking place, sometimes he describes what is going on in the minds of the Winston and Julia and sometimes he describes what happened in the past to those revolted. There is another book 'The Theory and Practice of Oligarchical Collectivism' written by 'Emmanuel Goldstein' within the book. This book within the book forms the major philosophical content of '1984'. The novel is not that easy to read especially the third part which describes the torture that the protagonists have to go through. This novel is frequently described as one of the most disturbing books.